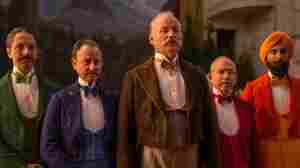 February 14, 2015  Nearly every male actor in The Grand Budapest Hotel has some kind of facial hair. In charge of each follicle — real or fake — was Oscar-nominated hair and makeup designer Frances Hannon. January 20, 2015  The court said a ban on beards violated the prisoner's religious freedom. The state of Arkansas had argued that the beard presented security concerns and that it could be used to hide contraband. November 1, 2013  All that beard tugging during the World Series got us thinking: Does facial hair actually make men more attractive? One recent study looked at four levels of beardedness, from a clean shave to full coverage. The effect was subtle, but a clear preference emerged.